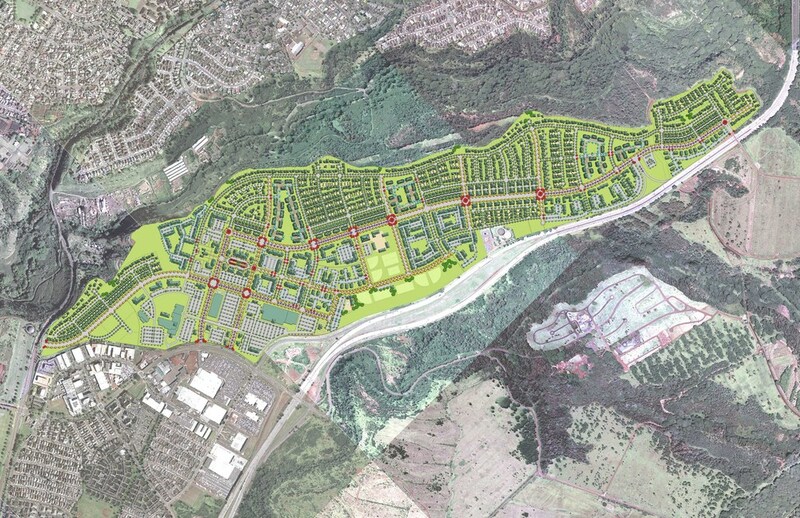 Koa Ridge, the latest master planned community by Castle & Cooke Homes Hawaii, Inc., spans 522 acres adjacent to the existing Waipio commercial and residential area. Innovative planning concepts incorporate smart-growth planning and neo-traditional ideas, creating unique neighborhoods that cater to the needs of the diverse community. This community proposes to provide both single family and multi-family residential units along with mixed-use commercial facilities, schools, park areas and a Civic Center to create a holistic and cohesive environment. Residential components address the growing need for multi-generational lifestyles.